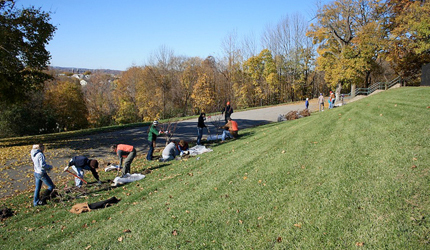 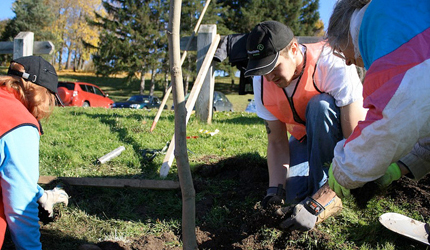 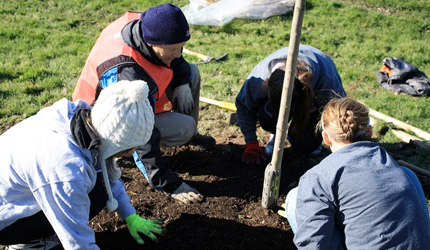 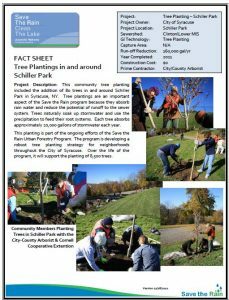 This community tree planting included the addition of 80 trees in and around Schiller Park in the City of Syracuse. 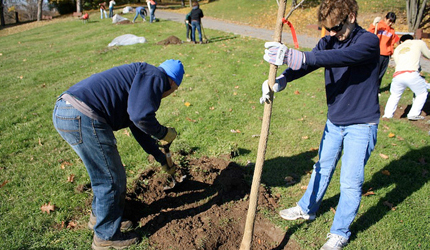 Tree plantings are an important aspect of the Save the Rain program because they absorb rain water and reduce the potential of runoff to the sewer system. 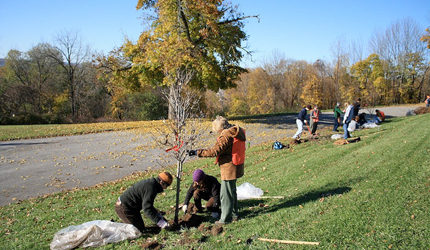 Trees naturally soak up stormwater and use the precipitation to feed their root systems. 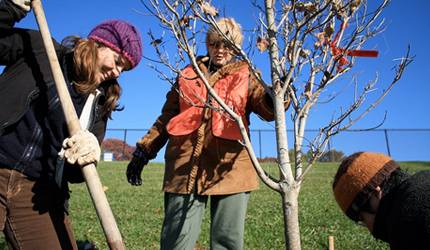 Each tree absorbs approximately 20,000 gallons of stormwater each year.